There are speed boats, and there are Wallys. 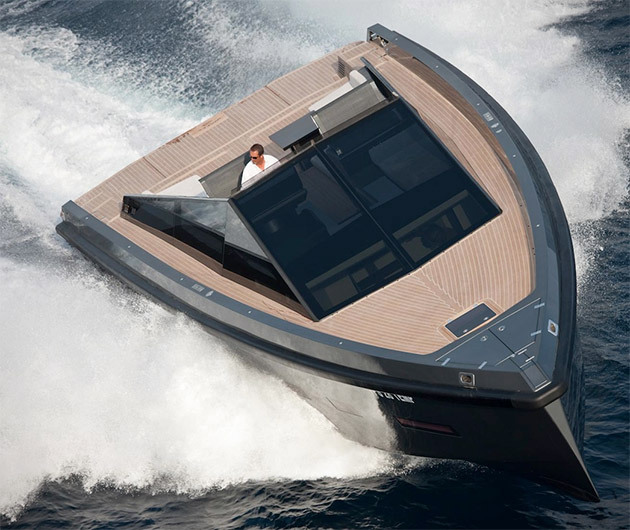 The latest, the Wally 55, boasts four roaring and highly efficient Volvo 1PS600 engines that propel it to an incredible 40 knots. But it’s not all about speed. Style and sophistication is abundant thanks to a generous deck space that houses seats and sunbeds, all protected by an oversized wraparound windscreen. Options for two or three cabins inside and there’s a hydraulic swim ladder as standard.